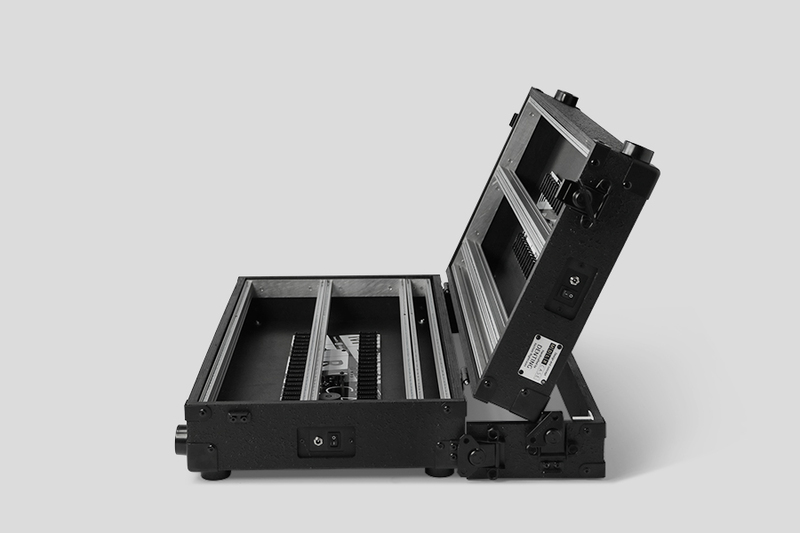 We’ve been listening to modular artists and have developed what we believe is the best solution for those in need of a flexible portable case. This professional handmade 14U / 126hp width Performer Series Eurorack modular synthesizer case is at home both on the road and in the studio. 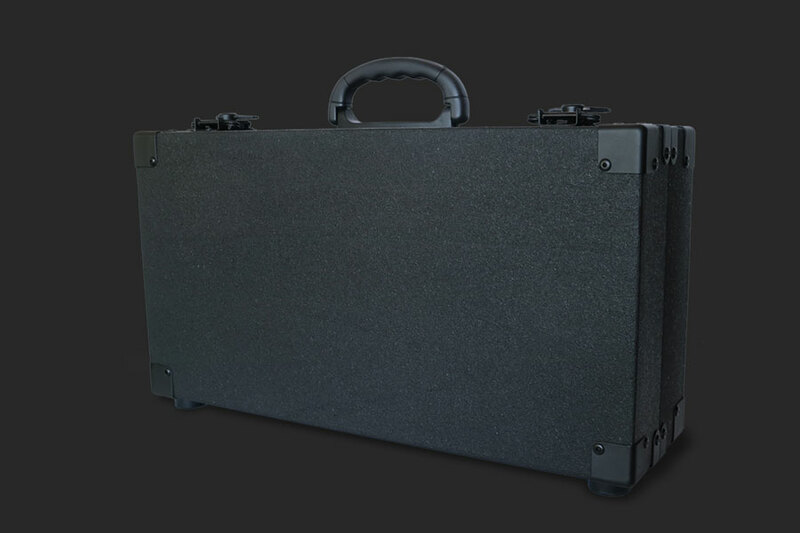 This 14U case features two extra 1U rows for use with both Intellijel 1U format or Pulp Logic/ Erthenvar tiles. Once ordered we will contact you about the 1U rails configuration/positioning and 1U format of choice (Intelijel or Pulp Logic/ Erthenvar format). 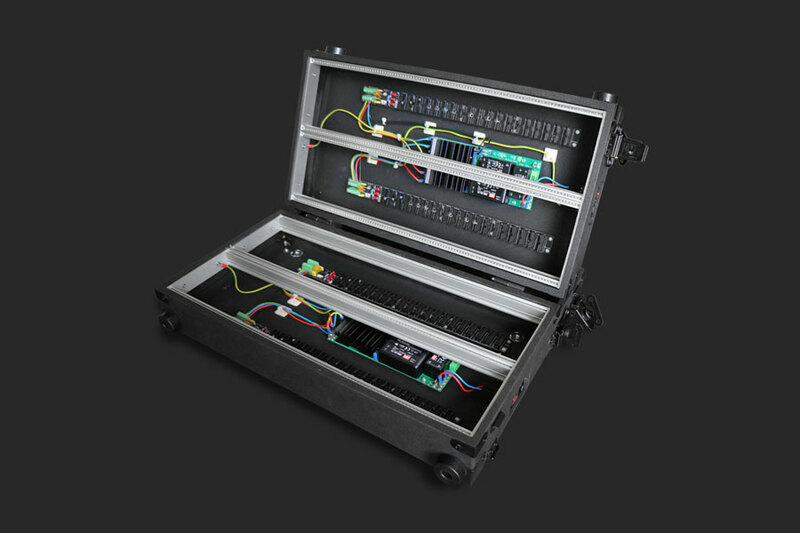 The case comes equipped with 2 MDLR PWR powered busboards (80 power headers in total), giving you maximum space for your modules, strong power outputs, less heat and by using low voltages inside the case a super safe PSU solution. 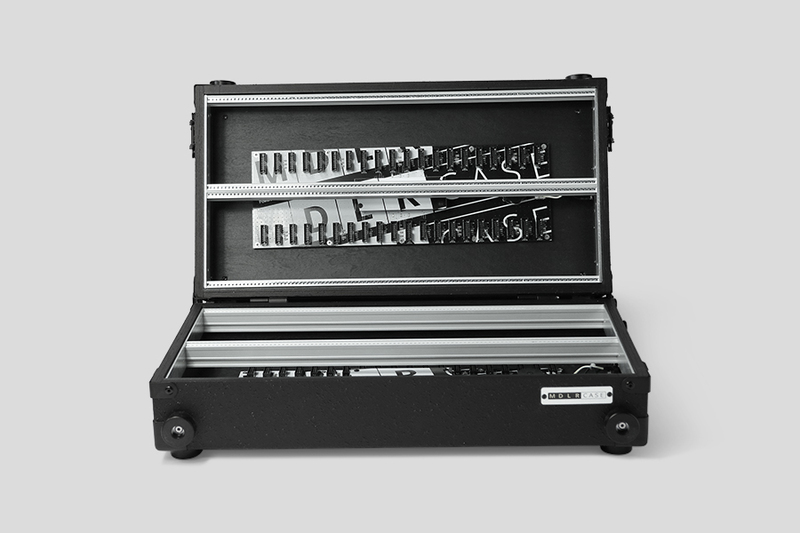 A unique feature of our Performer Series cases is a detachable middle “ring” that acts as a spacer enabling the case to remain patched while closed yet keeping the modules flush-mounted when open. Even better, this ring also functions as a rock-solid stand for the top section holding it at the perfect angle for performance. 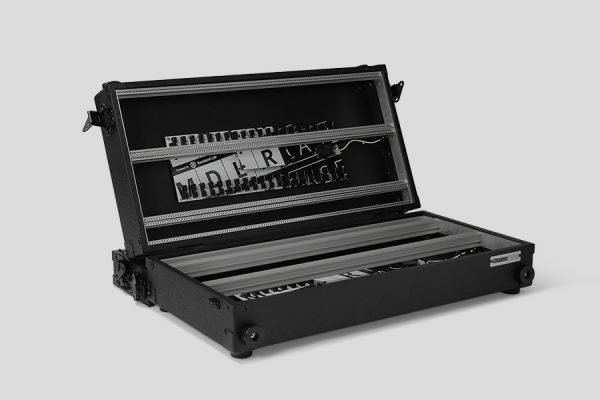 MDLR PWR is a high precision low noise and high-powered bus board for your eurorack modular systems. 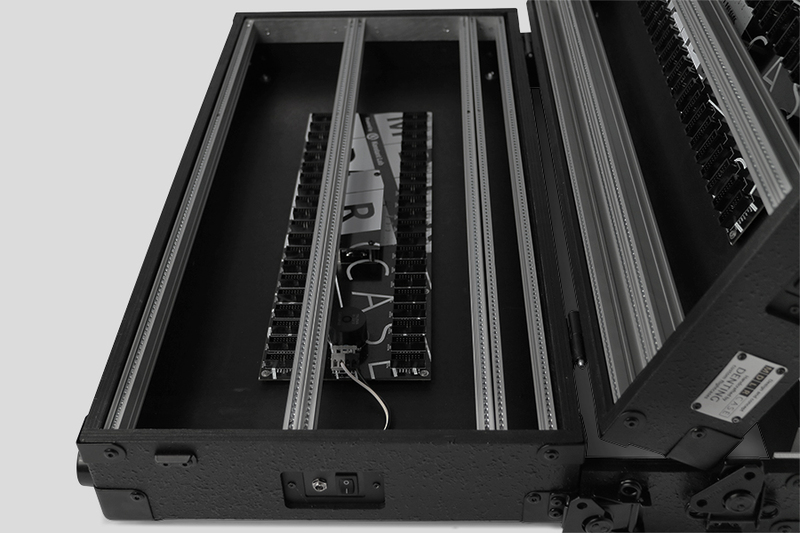 With a total of 40 headers (per busboard) you’ll never run out of connectivity, so all your beloved modules can be easily connected. MDLR PWR is universal so it can accept a wide range of mains voltages from 100V to 240V and so this can be used worldwide. 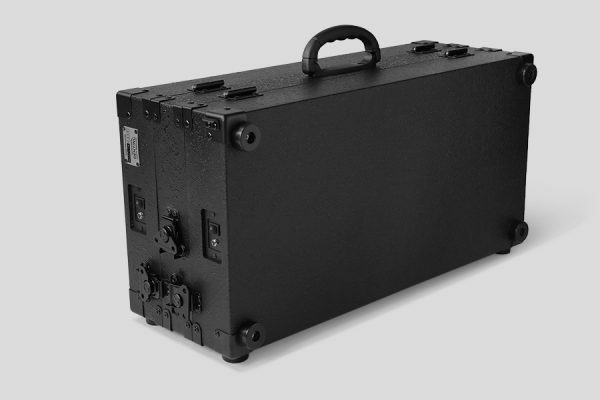 MDLR PWR is fed with an external power brick which takes care of no high voltages inside the case.